I am planning my vacation knitting. We will be camping in the Big Horns in Wyoming again this year, then a second two-week stay at Glacier National Park in Montana, with a stop along the way to visit my cousin and his wife near Bozeman. 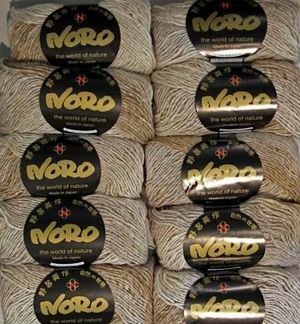 Today I wound the 20 skeins of Noro Silk Garden I bought last month on eBay. They are planning to become a simple top-down striped pullover. 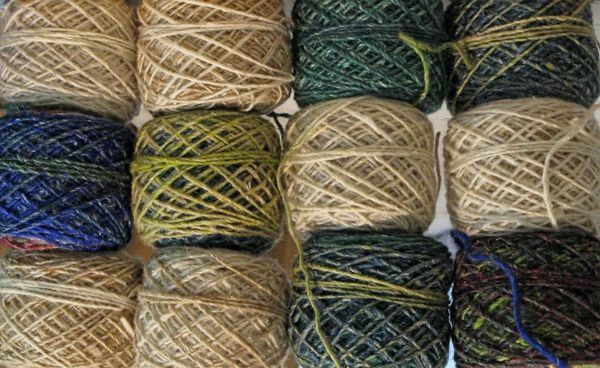 Is there anything more fun than winding the yarn for a new project? Except, of course, casting on for said project. Or wearing it (assuming it turns out as expected and fits and is flattering, etc., etc.)? This entry was posted in knitting, Yarn. Bookmark the permalink. 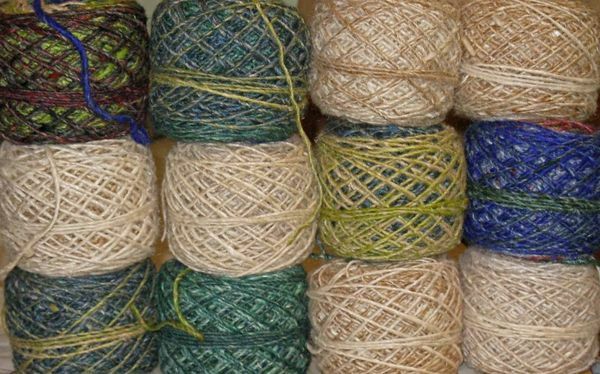 Serious yarn envy. That is all. OMG! What a wonderful sight on a Monday morning. Ooooooo! That’s some nice silk garden! Gonna be a wonderful sweater! New projects are fraught with possibility. The greater the possibility, the higher the risk that something will go wrong. Hence my sweater anxiety. P.S. My verification string was 2wast9, which looks to me like a text message from Shakespeare. I love playing with my ball winder! I’ll wind up yarn even when it doesn’t need to. I’ll rewind it, even when it doesn’t need to. Whoa! 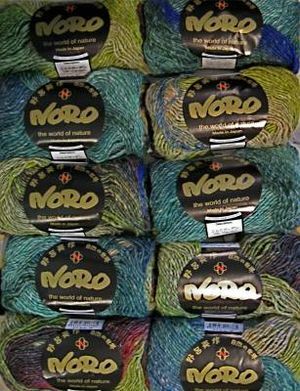 Look at all that Noro! And nicely wound too… yowza!